After interviewing many screenwriters to bring Henri Charrière's beloved tale Papillon back to the screen, the filmmakers found Aaron Guzikowski. "Not only did he share our passion for the story, but his writing style was wonderful and incredibly detailed," says producer Joey McFarland. Guzikowski gained international acclaim with the screenplay	Prisoners, Denis Villeneuve's celebrated 2013 drama with Hugh Jackman and Jake Gyllenhaal. 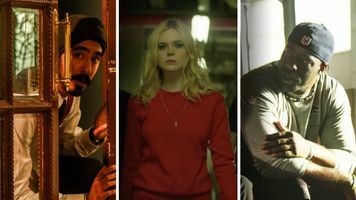 Director Michael Noer recalls, "I'd seen	Prisoners and really loved it, so for me it was a pleasure to work with one of my recent Hollywood heroes." 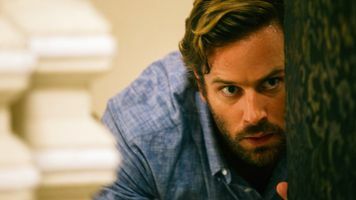 While Papillon marks his first book adaptation, in 2012 he adapted the popular 2008 Icelandic film	Reykjavík-Rotterdam into Contraband, Baltasar Kormákur's high-octane Hollywood thriller starring Mark Wahlberg. 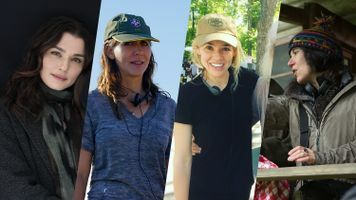 We speak with Guzikowski about what makes Charrière's story so memorable and how he found its dramatic heart for his screenplay. What made the project of writing the screenplay of Papillon so attractive to you? Although I love them both, the original film was really different from the book. What I love in the book was the personality that came through in the voice of Henri Charrière. The themes of the book are particular resonant for today — the persistence of hope and the triumph of the individual. Charrière personifies that in a way that few other characters have. The prospect of making a new generation aware of Charrière and his life inspired me. For the screenplay, I understand you turned to both of Charrière's books, Papillon and Banco? Yes. 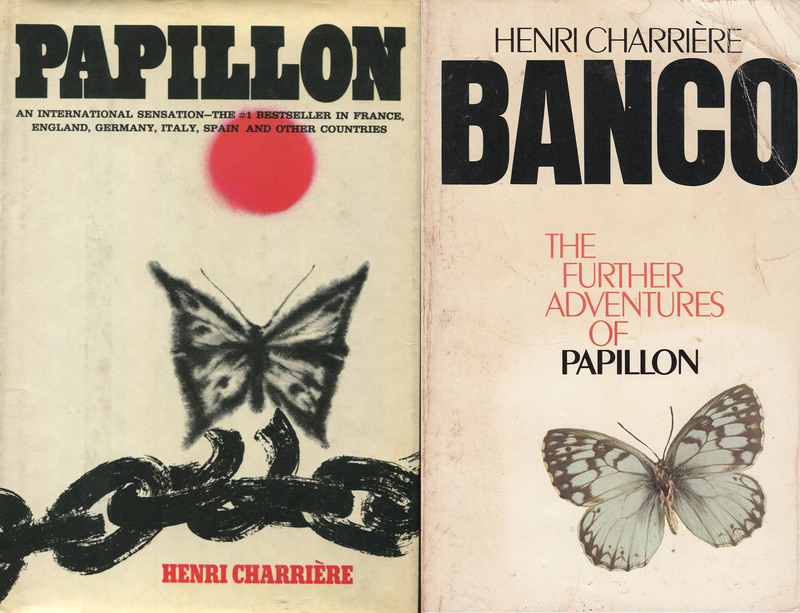 Banco, which came out a few years after Papillon, gets into a little bit about his life after the events that are described in the book Papillon. It also talks about his family life. You get a little more insight into the man — the fact that his parents were schoolteachers and he grew up to become a safecracker. He came from a different world than most of the people in the underworld. While he was educated and had a fairly good upbringing, things occurred in his life that set him off in this darker direction. What was the biggest challenge for you adapting the books? There is just so much in them. There are 6 or 7 different escapes from various spots on Devil's Island. The book is so huge that it's an embarrassment of riches. The other big challenge was finding the right tone. We wanted our version to be a grittier, experiential adventure. With so much to cover, what became the film's central narrative? What we kept coming back to and what is central to the story is the relationship between Papillon and Dega. The theme here is not "what doesn't kill you makes you stronger," but rather how his friendship with Dega enabled him to survive this ordeal. In structuring the screenplay, we kept going back to their relationship-how these two men influenced each other. As a safecracker, Papillon was a loner. He didn't really have a real human relationship until he got sent to Hell. He and Dega were able to help each other. To me, that is the beating heart of the story. You started off as visual artist. How did that shape the screenplay? In all my screenplays, I have to draw the scene in my mind before I write it. I try to latch on to certain images and make them part of the story, like the way the prison in Papillon becomes a character unto itself. There are so many powerful images from the book that informed the spirit of the screenplay. I love that visual juxtaposition of coming from Paris and arriving at this other world. The film begins in the Moulin Rouge, which is all light and color, and then he's in the darkness of a ship being shipped to some unknown island. When he arrives, the door is opened to this blinding, bright light and he is in a world he's never seen before. Devil's Island becomes a surreal visual experience with the endless ocean, the sharks, the jungle, the bugs, and everything else. Although I love them both, the original film was really different from the book. When you were constructing this world, were there other films or books you looked at besides Charrière's account? There was a book called Dry Guillotine written by René Belbenoît before Papillon's memoir. It is about a man sent to the same place, so I was able to pull additional details about life on the island from that. But ultimately I would return to Charrière's book whenever I got stuck. You wrote this screenplay before you knew who would be playing Papillon and Dega? Yes, that is true. It sometimes easier for me not to know who the actors are because circumstances change. 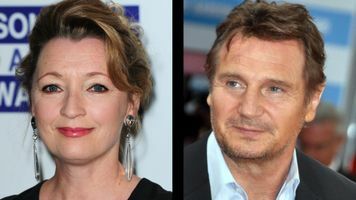 But one of my concerns when I was writing Papillon is "who's going to play this character?" There are only a few actors who can really make it work. Thankfully they cast Charlie. There are big shoes to fill in playing Papillion and Charlie did an amazing job. The book has remained a favorite for generations. What do you think touches people about this story? I think it is the way it captures the indomitable human spirit. Over fourteen terrible years, Papillon never lost hope. You feel that in the voice in the book. He endures horrible things, but he never wallows in despair. He always tries to find a way out, a way forward. The story fills you with so much hope in this very profound way. 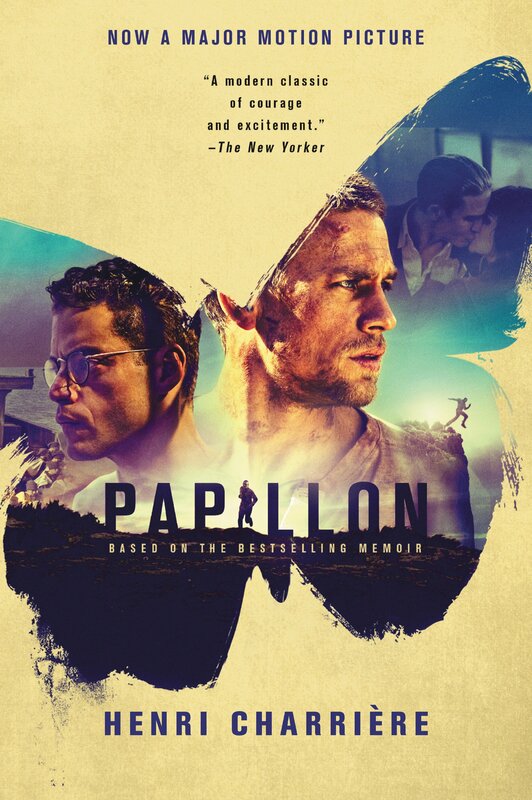 Click here to pick up a the movie-edition of the book Papillon.